You see, I’ve been creating sites with various website builders for years now, but up until fairly recently, I didn’t even realize Jimdo even existed. Turns out that I must have been living under a rock because the German-based has 20 million users spreading across the globe and counting. I think it’s about time I rolled up my sleeves, get stuck in and find out what exactly Jimdo has to offer and that’s exactly what we’ll be doing together in this review. Option to create your site by answering a series of simple questions (Jimdo Dolphin). Jimdo boasts a robust set of eCommerce tools. Jimdo sites are search engine friendly. Free custom domain and email with an annual plan. Your site will automatically look great on mobile devices. Create or manage your website from a smartphone or tablet (optional). Limited choice of templates (plans to add more soon). Fairly basic customization options available such as text, images, colors, and fonts. Premium Plans: JimdoPro $7.50 per month or JimdoBusiness $20 per month (billed annually). Recommendation: Jimdo is solid all-rounder suitable for small business websites, portfolios, and thanks to their strong focus on eCommerce, Jimdo’s a serious contender for an online store. If you can’t find a design template that you like (like me), I suggest trying out the new Jimdo Dolphin feature (free to all users) which allows you to get the foundations of a customized website by answering a series of simple questions about your business or project. What Do Others Think of Jimdo? Jimdo’s a solid, all-round website builder and is versatile enough to create just about any type of site such as a personal blog, portfolio, full-blown business website, or even an online shop thanks to their strong focus on easy to use eCommerce tools. In addition, Jimdo has support teams based around the world so it could be the ideal choice if English isn’t your first language. We touched upon the advantages of using Jimdo in the overview above, now let’s take a closer look. Even though I have years of experience creating sites, I still like all of the tools laid out right in front of me where I can find them! Overall, Jimdo’s done a great job in this department. However, I would like to see Jimdo embrace true drag and drop technology which many of their rivals already offer as I feel it makes for a friendlier user experience, especially if you’re brand new to the world of website building. 2. Jimdo Dolphin – A Game Changer! I have to admit that I’m not a huge fan of Jimdo’s design templates as you’ll soon find out in when we reach the cons. In fact, I’d go as far as to say as, I believe they are holding them back as some of their rivals have hundreds of fresh, modern looking templates that you can “plug” your business into. But now they’ve released Jimdo Dolphin, a new(ish) feature that allows you to bypass the template selection process and create a customized website by answering a series of questions about your business. It works by taking the answers from your questions plus any existing information/images about your business on Google and social media sites and pulls them into your site. It goes without saying that the more information that’s out already out there, the more customized your site will be. In any case, you’ll find that you’ll need to make a least a few manual changes but even so, your site will look 100 times better than if you’d started out with one of the standard templates (in my humble opinion). You can read my full Jimdo Dolphin walk-through here and see the results of my test site. In addition to the Dolphin feature, another thing that really jumps out at me about Jimdo is their eCommerce tools where you’ll find just about everything you need to begin selling both physical and digital products. In fact, I’m yet to find another generic website builder that makes it so easy to get a store up and running thanks to their well laid out tools which are all located in a central hub. Store details such as address, currency, tax details. 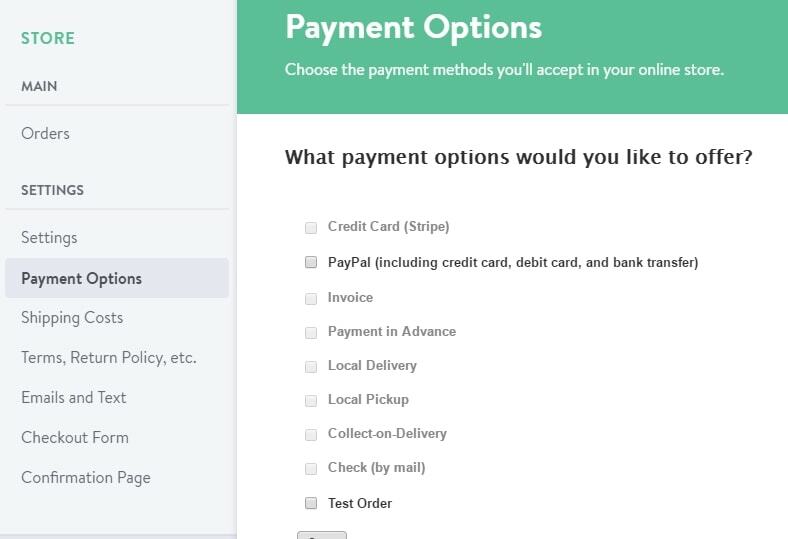 Payment options including credit cards and PayPal. Terms, conditions, and return policy. 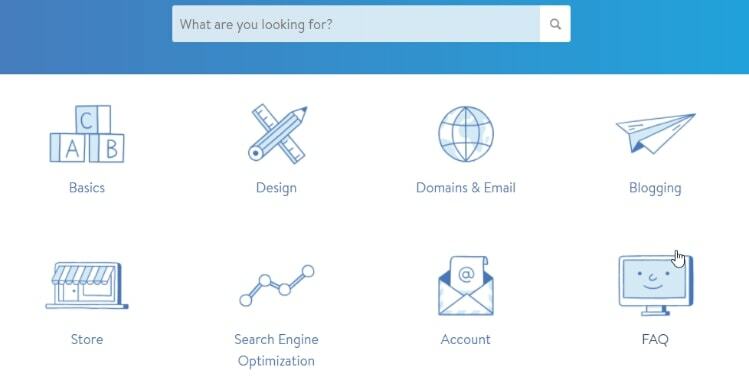 Jimdo gives you every chance to get found in the search engines by allowing you to change page titles/descriptions, individual page URL’s, and image ALT Tags (pro plan users). If you opt for the Business plan, you’ll also be able to perform 301 redirects. If you don’t know what any of that means, don’t worry as Jimdo has step-by-step training to guide you through the process. When you create a free account (more on pricing soon), you’ll be given a free sub-domain (web address) which will include Jimdo branding. 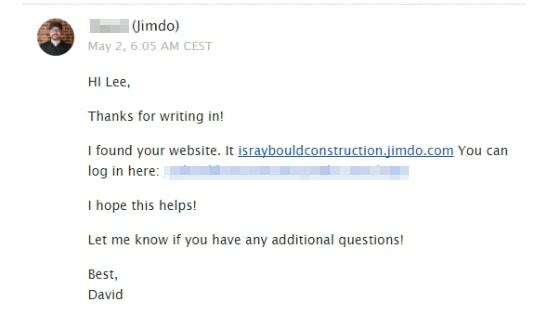 For example; raybouldconstruction.jimdo.com. Your own custom domain name (without Jimdo branding) will set you back around $20 per year and it’s not uncommon for a provider to offer you a free custom domain for the first year if you opt for an annual plan. I’m pleased to say, Jimdo is no exception. However, what is uncommon, is that Jimdo also offers you a free custom email address to match your domain such as contact@yournewsite.com. The majority of other website builders charge an additional fee for this feature at around $60/year. Well done Jimdo! I’ve used other site builders that haven’t put a lot of effort into how the site looks and performs on tablets and smartphones. This is a huge issue these days especially if you’re a small business as most of your visitors will be looking for you on a mobile device. Fortunately, this isn’t something you’ll need to worry about with Jimdo as your site will work perfectly on mobiles without any extra effort on your part. You can see for yourself how my test site looks on a smartphone. Jimdo has an app for your smartphone or tablet that allows you to log-on and create or update your existing site whenever and wherever you feel like it. Jimdo’s slightly ahead of the curve with this feature as most of the industry big guns allow you to log in and make basic changes, but not allow you to build a site from scratch. Jimdo definitely has it’s good points, but just like every other website builder I’ve tested, I’m yet to find one that’s perfect! One of your first tasks after signing up to Jimdo will be to choose a template which will decide the look and feel of your site. As I’m writing this, there’s a selection of 40 to choose from which I have to admit, is on the lower end of the scale which does bother me a little. Jimdo files them into categories so the first thing I did was to dive into the business section and was a little disappointed to only find 6 templates waiting for me. We are currently planning to release industry specific dummy templates in the very near future. I also feel the existing templates are a little “bland” and don’t really stand out over some of their competitors so I’ll be waiting for this update with bated breath! (As mentioned earlier, you can bypass the template selection process by choosing to create your site using the Jimdo Dolphin feature). Whichever template you choose, you’ll be able to edit the sample text, upload your own images, change basic site colors and the background. And to be honest, that’s about it. Outside of the above, you’re pretty much confined to the layout of your template and can’t do much else to set yourself apart from the other thousands of customers that are also using it. It doesn’t matter how simple the builder, I can guarantee that at some point you’ll get stuck with something whether it’s getting started, or adding a particular feature to your site. Jimdo’s done a great job of putting together a support center that walks you through every aspect of building your website. One of my favorite parts is the 40-minute video series where you can watch a Jimdo site being built from scratch so you can follow along. What if something goes wrong and you need to speak to a real person? Technical support is something that I take very seriously and I like to know that someone will be there to offer help and advice should something go wrong. Jimdo doesn’t offer phone support as they say they prefer a ticket based email support system so that everything can be documented, you also have the ability to upload files or screenshots etc. There’s a live chat feature from 9 am – 5 pm Pacific time, not much good for me here in the UK but it’s nice to know it’s there. It just so happened that I forget my username when trying to log into my account to write this review so I submitted a support ticket asking for help. I was happy (and quite shocked) to receive a reply in a matter of hours. Not too shabby considering it was a public holiday when I needed help. Overall, Jimdo appears to provide a very thorough support platform. The first thing I like to do towards the end of a review is to scour the internet to see what other professional think as well as real users. My findings were that Jimdo appears to score mainly 3 and 4-star ratings from professional review sites with the exception of leading expert SiteBuilderReport who only scored Jimdo 2 out of 5 stars. This was in part down to their lack of templates which appear fairly outdated as well as the basic, and sometimes poorly thought out website editor. What do Jimdo customers think? As Jimdo is truly an international website builder, I managed to find hundreds of Jimdo user reviews but unfortunately, only a handful are in English. Trustpilot (link above) has Jimdo with an average user rating of 4 out of 5 stars. One user felt that although Jimdo wasn’t packed with amazing features, it was perfect for her small website while another praises Jimdo’s customer service. Not all customers were happy though as one user felt that Jimdo only cares about getting new customers and forget about existing ones. Jimdo offers a simple pricing structure consisting of only three plans which allows me to breathe a sigh of relief. A free plan is a good option for those who need a personal website or simply want to test Jimdo before committing. You’ll find Jimdo ads displayed on your site but they are quite subtle. 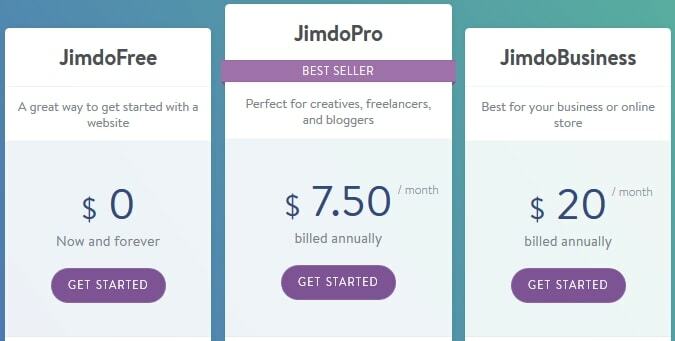 If you’re a small business and not intending to sell products, JimdoPro which will allow your site to be optimized for mobiles, an email account to match your website address, faster support, and the ability to create a basic online store. If you’re intent on building an online shop from the outset, the JimdoBusiness is your best option. Until fairly recently, I knew Jimdo was a solid all-around platform but I couldn’t rate it as high as I really wanted to due to its bland template selection and lack of customizability which was a real sticking point for me. Since the release of Jimdo Dolphin, that has changed. I have now been able to upgrade their rating from 3.9 out of 5 to a much more respectable 4.2 which I’m very pleased about. So, you know what I think it’s over to you; Click here to try Jimdo for free! Just be sure to come back and let me know what you think in the comments section below, okay? Weebly Pricing Review – Which Plan is Right For You?